So this came in the other day and once I finished The Philosopher Kings I thought that it would make for a light break before picking Knight’s Shadow back up again as generally speaking, Carriger’s books make for a light read. Before I go any further, I want to make one thing clear: this may be a new series, but it isn’t really newbie friendly. At this point, Carriger’s world has become fully interconnected. This book references events from the Parasol Protectorate and characters from both that series and her young adult Etiquette and Espionage series. They are all one big series and while you certainly can pick this up as a newbie, you will be confused. As before, Carriger doesn’t take the time to truly explain the world that the books are set in. They feel more reminders for old readers than help for new. Case and point: it reminds you that Lord Akeldama is a Rove vampire and that Rue’s friend Prim’s mother is a Hive-bound queen. But it doesn’t explain the difference between the two or why the Queen can’t leave the building. It’s not vital, but you will feel perpetually lost. Really, if you’re planning on reading this, at least read Soulless so you can at least understand the world. The story of Prudence is a perfectly pleasant romp of vampires, shifters and the importance of team. Prudence herself is much like Alexia and Sophronia – high spirits, intelligent and one of a mind to break Society rules when there is a need. If you’ve liked her other heroines, you’ll like her. The problem I’m having is the style. Carriger has one of the most unique voices that I can think of in fantasy at any age. And because it’s so unique – rather droll and so focused on manners at the height of the absurd situations, I’m finding it starting to wear thin. It’s like a joke that is super hilarious the first time you hear it, and then you hear it again and again and again and it gets a little less amusing, a little less fresh each time you hear it until you’re just like “oh.” You can only read so many absurd statements or see characters worried about being improperly dressed when their life appears to be on the line so many times before the novelty wears off. And I think I’ve just about reached my saturation point. Finishing School is wrapping up with its last book in November. 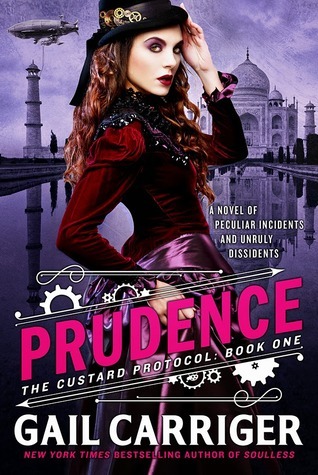 I’m invested enough in that series to see it through the end, but will I pick up Imprudence? I don’t want to be too hard on this book, because from a quality standpoint, it’s more or less on the same level as her other books. It’s just what worked before for me is now not working for me and it seems a bit unfair to blame the book for that. 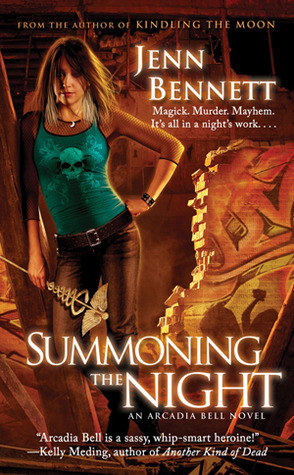 Although I feel like I’m starting to be a bit of a broken record, my recommendations from previous Carriger reviews stand: fans who love her books will love this. Fans already over her won’t change their minds and newbies are still best off starting with Soulless and deciding what to read from there. Verdict: A weak Borrow It. The novelty has worn thin, but it’s still a solid book. Man, in the last few days of vacation, I started getting on a roll. I was so pleased with myself that I managed to schedule like two weeks worth of posts. So what did I do? Proceed to completely squander that build up. I hit a wall hard. I was going to start The Choosing only the very first page of the eARC revealed the book’s primary genre was Christian fiction, something I just do not read for personal reasons (and I would have never requested had it been so listed on Edelweiss). So then I started Uprooted by Naomi Novik. While I amused by the fact that the Dragon was a man this time around, something about it just wasn’t grabbing me and I set that aside. So then I decided to give Snow Like Ashes – a very well liked Young Adult title a look and sigh. 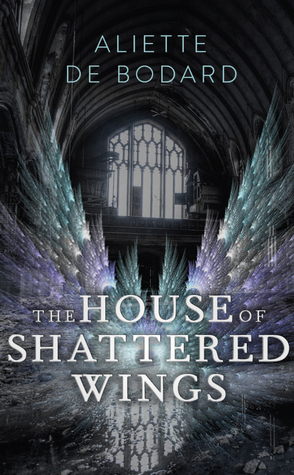 The premise is very much suspension of disbelief to start, falls apart completely if you think about it at all, and when I skipped to the last page of the book discovered that yep, it’s main plot twist was a huge YA trope that I am utterly sick and tired of. 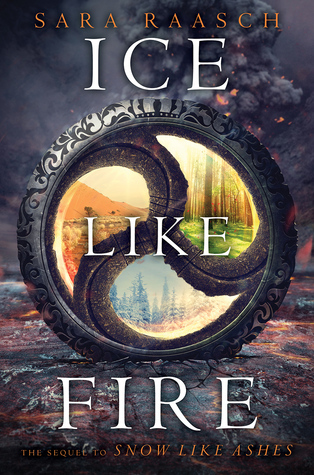 I may well go back it at some point because I did get approved for Ice Like Fire (I requested it before starting Snow Like Ashes). I am working on two books right now that I think I’ll actually finish, but it’s probably going to take a few more days so why not a new round of Stacking the Shelves? I have to say, I’m rather excited for the next month or two ahead! 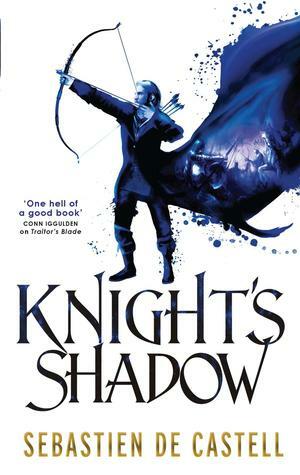 Knight’s Shadow – Sequel to The Traitor’s Blade, a book that just barely didn’t make the cut of my Top 10 books of 2014. 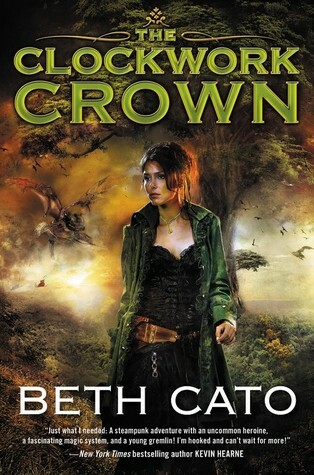 One of two books I’m reading right now, this promises more of what I liked about the first book: good characters, good action and good intrigue. 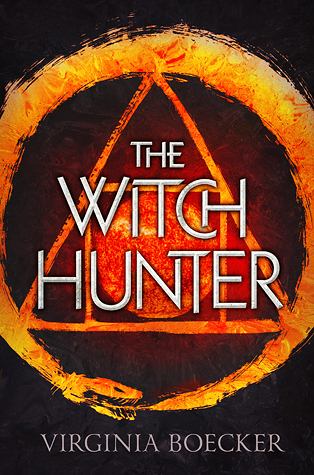 The Witch Hunter – Paranormal Young Adult. As far as Young Adult fantasy goes, I feel like the genre isn’t nearly as diverse in terms of kinds of stories told as it is on the adult side of the fence, so I’m always up for a look at something a little out of the norm. 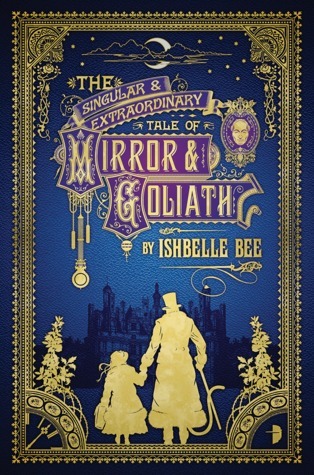 The Singular & Extraordinary Tale of Mirror & Goliath – Steampunk paranormal fantasy mixes are a bit on the unusual side, a lot of people consider steampunk to be a form of science fiction, and generally speaking the technology does fill in for the magic of a world. It’s a mix that catches my eye and both the title and the cover are eye catching. 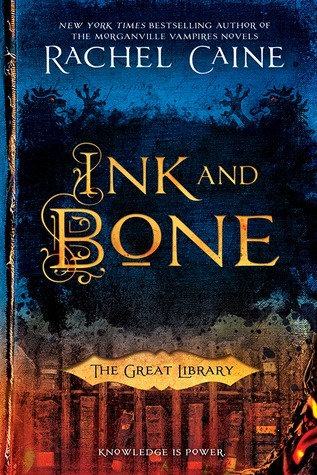 Ink and Bone (7/7) – This book had me at “The Great Library” to be honest. I love books where books play a key role – Libriomancer, Sabriel and so forth. I burned up almost all of my remaining points at Penguin’s First to Read program to grab this one. Also a YA fantasy that isn’t necessary a romance? Winning. 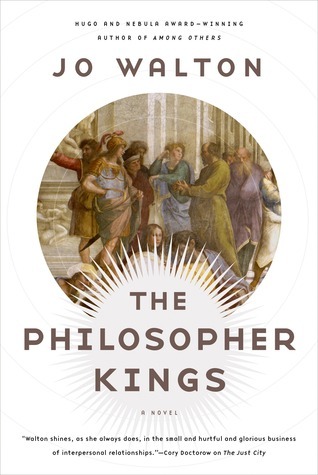 The Philosopher Kings (6/30) – I picked this up thinking it was an excerpt, but when I discovered it was instead the full copy and that has totally made my day. A trippy mix of science fiction and mythology, this is a sequel that at some point I’m going to make a point of picking up the first book and I have to say that even less than 20% in, I suspect this may make my Top 10 list of this year. This is the other book I’m currently reading. 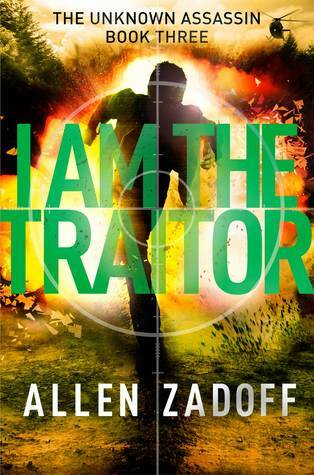 I am the Traitor (6/9) – Young Adult thriller with a male lead. Totally not my normal thing, totally a series that I’ve loved. Looking forward to reading it! 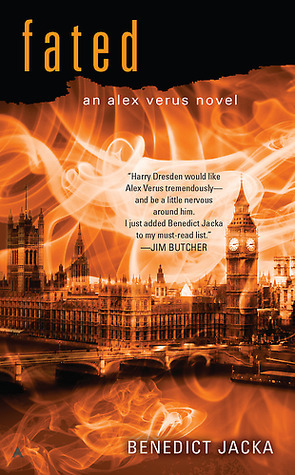 Ice Like Fire (10/13) – Like I said, I only got about a hundred pages in to the first book. 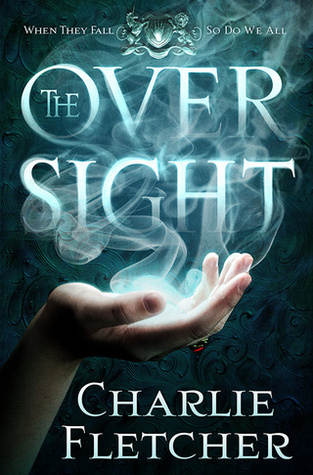 It’s not that the first book was bad, it’s just fits so squarely into the kind of YA fantasy that I’m not terribly fond of. I am optimistic that this would be the better of the two, because at least we get the more tropey aspects out of the way. 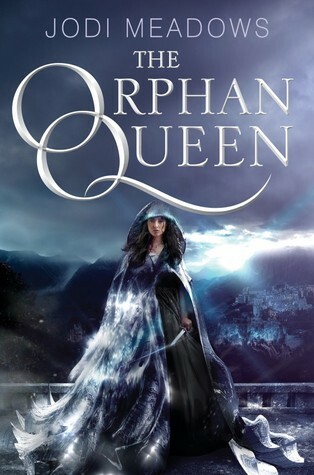 The Orphan Queen – YA fantasy that doesn’t pretend to not be a romance. I’m hit and miss on Jodi, so I’m curious to see how I’ll feel about it. 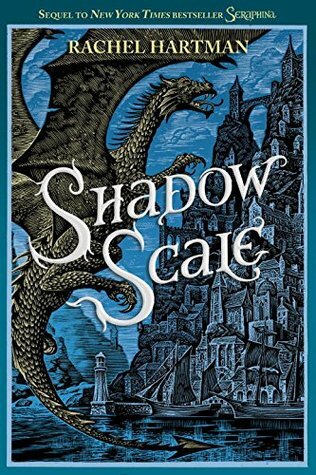 Shadow Scale – I had issues with Seraphina, namely the way that the character seemed to engage in self-loathing that seemed way too neatly resolved within paragraphs at the end of the first book. The original premise was unique however, and I’m looking forward to giving it another chance. Prudence – Carriger’s new adult series. Carriger is one of those authors that you hate or you love. 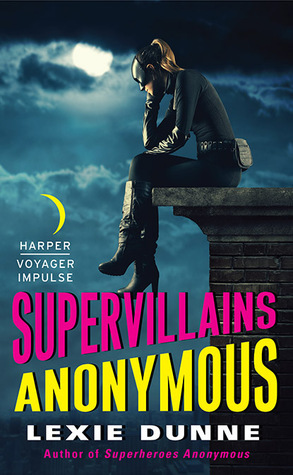 I will say I’m a touch more fond of her Etiquette and Espionage series that’s YA right now, but I still think it’s going to be a fun read, even if only for more Lord Akeldama! 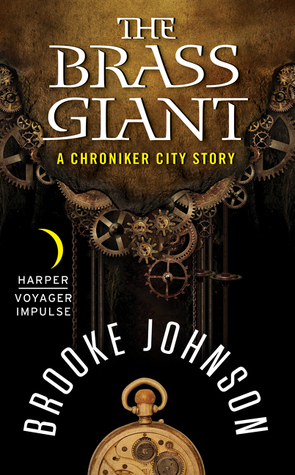 The Brass Giant, first published in 2011 under the title The Clockwork Giant, is a short and sweet novel about a girl named Petra who wants to be an engineer, a desire thwarted by the fact that she was born female. Trying to sneak into university, she catches the eye of Emmerich Goss who realizes her inborn talent and comes to her for help with his secret project. 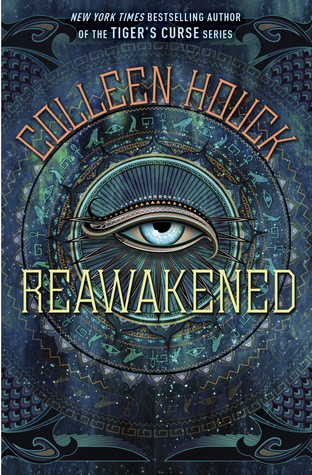 There’s a lot to like in this book: unlike other books where the protagonist happens to deus-ex-machina her way into a learning institution she otherwise couldn’t get into, she can’t. At the end of the book, when she does get her wish fulfilled, it’s decidedly a bittersweet victory and the circumstances surrounding are hardly what would you call ideal. The budding romance builds up at a pace that makes sense and I enjoy the fact that it’s a match of minds as much of anything else. I could have done with the jealous non-boyfriend, and I wish there was more to the Luddites hatred of the Guild. While we can personally see why the Guild is bad, there’s nothing in what we see in the day-to-day life that would indicate the kind of corruption they suggest. While more rounded it out than most novels of this length (sub-200 pages) this is one area in which it was lacking. Reviewing the author’s Goodreads page, there is a novella due to be republished in June and a third book (length unknown) due in September. I do hope the third book is of a longer length so this world can truly be fleshed out. This was a good read, and I’d like to see what the author could do given the space to do so.